1. I have a couple of pictures of this scowling child from the photos my grandmother gave me. She didn't know who he (she?) is. But I dare say he wasn't very excited about this picture. 2. One annoying thing that happened with my pregnancies is that my feet grew half a size with each one. I used to wear a size 7. Now I wear a size 8. This is particularly annoying because a few of my expensive technical shoes (my tall riding boots, my rollerblades) no longer fit. 3. Cort has the most delicious laugh I've ever heard in a child. He has quite the sense of humor, so we get to hear it often. And I can never get enough of his delightful chuckling. 4. You would not believe the hoops you have to jump through to get an appointment with a dermatologist here. Long story short, it took me 3 years, but I finally have an appointment....in August. I have a lot of moles and just want to have them checked over. You wouldn't think it would be so difficult! 5. I don't really like grocery shopping. 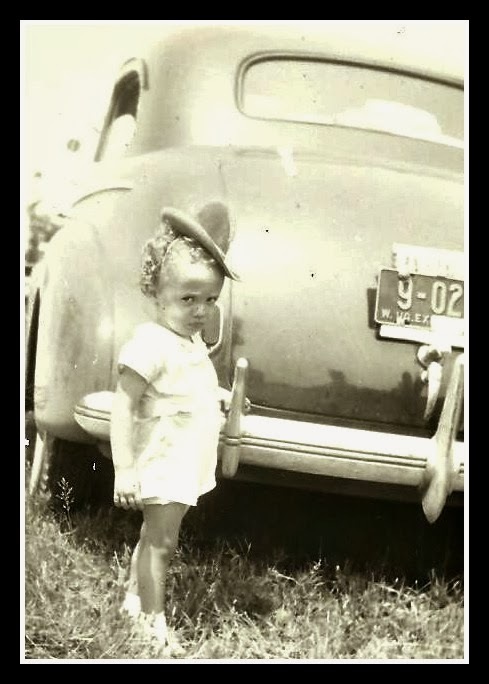 Oh I love the scowling child and her hat. Oh Cort what a wonderful gift that is. you & the family have a lovely weekend. love the oldie shot. it has been fun looking into your family history. love the vintage feel. een heerlijke foto een kind dat gewoon doet wat ze wil. Love the look on that child's face! Glad you finally got an appt. with the dermatologist; hope everything checks out fine. You'll have to share a video of Cort laughing some time. Enjoy your weekend. I think maybe it is that hat, LOL. 3 years that is a long wait. I would imagine that is any one of the moles looked irregular that that appointment time would be shortened!! Chuckles from Cort too sweet. Yep, my feet grew permanently (flattened out I guess) while I was pregnant too. And I no longer could wear my beloved Vasque Sundowners. And most of the dermatologists here, offer free mole-checks, so it is easy for me to get screened. I'm glad you finally got an appointment. I can't believe how long it took! Good luck! I grew out of my tall riding boots, too. Bummer! And grocery shopping is the worst! Can't imagine having to wait 3 years for an appt. That shot of the scowling child is pretty funnny, and don't you love those antique shots. So fun! Know you love hearing Cort's laugh! the pic is too cute!!! #3 warmed my heart. #4 is just horrible and worrisome! My feet did the same darn thing! Isn't that weird?.. but common. And I think I'm one of the few people who don't mind grocery shopping as long as the lines aren't long. Does the child in the photo favor Cort? I think he/she does. I wear a size 8 or 8 1/2, depending on the shoe, and what I find frustrating is that it's apparently a common size so sometimes it's hard to find--they've all been sold before I get there. 3 years for a derm appt? That's just not right. I've gone from an 8 to 8.5 to 9 since my 40's. Blah. I love that picture! It sure makes one wonder what in the world was in that little mind. Three years, seriously. That's ridiculous, but glad you finally got an appointment and hope for the best outcome. What an adorable grumpylooking child. I thought it was just me that had my feet grow larger when pregnant . I wonder why they don't go back to normal later on? That picture was taken so long ago and now we are all enchanted by this child and talking about him/her. That's so both weird and sweet. 3 years to get an appt with the dermatologist? Yikes! That is crazy. And I totally agree with you on #5. I can't think of anything better than hearing a child laughing! I love the car in the first photo! Hi Lisa, I enjoyed reading your thoughts... Strange about the dermatologist... Maybe there aren't enough of them in your area...?????? That is a neat old photo, looks like a chevrolet maybe a 40-41 or just after the war so the photo could be 60 to 70 years old or so as the car looks pretty new. Thats a real bummer the riding boots don't fit now! Being a mom is tough. I never heard of anybody having their feet get bigger. I don't think my wife's did. I 'll ask her. That's a natty little hat that kid has. Beautiful picture. What a cute post. Hopefully the moles turn out to be nothing since they have kept you waiting for so long. I also hate going to the grocery AND stopping to get gas. What a pain! You poor thing! Most of us shrink in old age. maybe you can save them?! My youngest granddaughter has that kind of laugh! I had an app't with a dermo. It took 9 mos. By then, the issue had cleared up, but my poison ivy returned. I went to it anyway! The ER doctors couldn't figure out what I had!!! Good luck w/the dermatologist check up. I've got to get in for an appt. too. My feet grew half a size, not sure if it was related to my last baby or not, but it makes my toes tingle to squeeze into my running shoes now. I truly enjoy reading your thoughts and stories. You said that your feet grew larger after your pregnancy. In my case, my overweight made my feet grow from size 8 and a half, to size 11. Can you imagine? None of my shoes fit. I use my slippers, but I am unable to go outside with those. I can hardly walk, my feet hurt, and nobody knows why. I feel like a monster. Your children are adorable. You are a super mom doing a great job, no matter what. You are a superb blogger as well. Thank you for your kind visits to my sites! I love to hear from you. I like any kind of shopping.. hehe..
My feet grew with my pregnancies to. Also my hair is now frizzier! I don't know which bothers me more. My husband took over the grocery shopping when the kids were little. He loves it because he can buy whatever HE wants...which can be good or bad. Okay, so we have 8 kinds of mustard, 15 boxes of breakfast cereal and no bread...I'm not complaining. I also used to wear a 7, now 8- 8.5. I just had to get rid of my gorgeous black cowboy boots! A delightful laugh can make the dreariest of days bright. Congrats on finally getting an appointment! Three years!? That's a little crazy! I hate grocery shopping too. I'm lucky that my husband agrees to go in exchange for me staying home with the boys. It's true love. Aww, look at that face, LOL. You know what? The same thing happened to my feet! They grew a half size after Livie was born. So I had two brand new pairs of running shoes that no longer fit, once I had been cleared to exercise like normal. Kids' laughs are great medicine, aren't they?